LAS VEGAS (January 3, 2017) Acer, a global leader and innovator in gaming displays, today announced the availability of the CES 2017 Innovations Award-winning 30-inch Predator Z301CT, the world’s first 21:9 monitor with Tobii eye-tracking functionality. 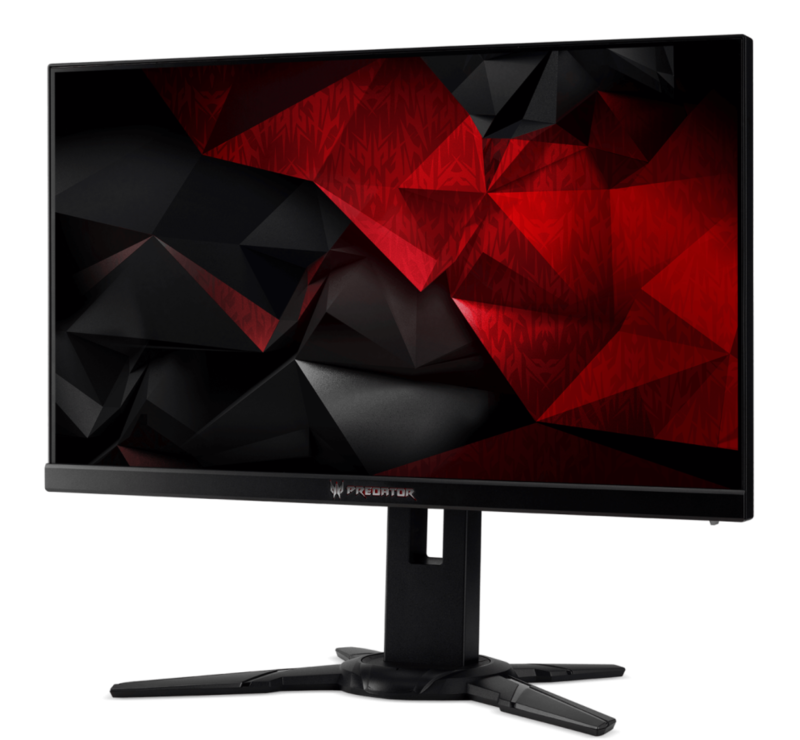 The company also unveiled two Predator XB2 Series models featuring 24.5- and 27-inch flat screens with a blazing fast 240Hz refresh rate. 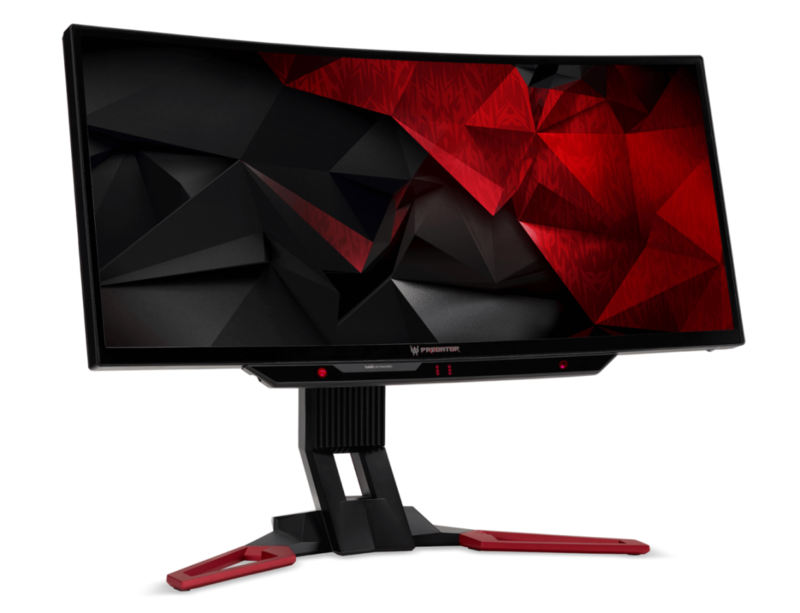 All three new models feature aggressive aesthetics via a sleek black frame with sharp angles and bold red accents and NVIDIA® G-SYNC™ technology for ultra-smooth gameplay. The 30-inch Acer Predator Z301CT is the pinnacle of gaming immersion, as evidenced by its win as the CES 2017 “Best of Innovations” award in the computer peripherals category. The monitor’s integrated Tobii eye-tracking technology adds to a gamer’s arsenal of control tools, helping them to intuitively aim, shoot and explore. Intended to complement, rather than replace, traditional PC gaming inputs, Tobii eye tracking uses the gamer’s eye movement to create a new input modality. Pairing eye tracking with mouse and keyboard or gamepad controls give gamers a richer, more immersive experience as they are able to mimic actions that occur in real life, such as looking for cover or aiming at a target. Camera angles also automatically rotate as the gamer’s eye focuses on the edge of the screen, while characters and game environments react as the gamer looks around. Tobii eye tracking functionality can be found in over 45 titles like Elite Dangerous, Deus Ex: Mankind Divided and WATCH_DOGS 2™. The games’ sounds and graphics will dynamically adapt depending on where the gamers look. In addition, the ultra-wide Full HD (2560 X 1080) and 1800R curved screen makes gaming more attractive and powerful. Other key features include a rapid 200Hz refresh rate and a fast 4ms response time. Wide 178 degree viewing angles and an extreme-narrow frame provide maximum viewing area. For optimum comfort, the display can tilt and swivel -5° to 25° and reach 4.7 inches (120mm) up and down for providing the most comfortable viewing position. Two 3W speakers with DTS™ Sound deliver quality audio for deepening the immersive experience. 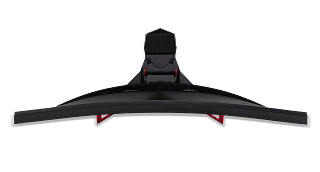 The Predator XB2 Series was built from the ground up for fast-paced, tournament-grade intensity. Boasting NVIDIA® ULMB™ technology, a fast 1ms response time and a rapid 240Hz refresh rate, the 24.5-inch Predator XB252Q and 27-inch Predator XB272 deliver an incredibly realistic in-game experience with fast-moving action, sharp edges and dramatic transitions rendered smoothly without smearing or ghosting. Superb picture quality is made possible with a Full HD 1080p resolution and a sharp 1,000:1 contrast ratio. The ZeroFrame design is ideal for multi-monitor setups and an ergonomically-designed stand lets gamers find the perfect viewing position with -5 to 20 degrees tilt, +45 degree swivel, 90 degrees clockwise pivot and height adjustment up to 4.5 inches (115 mm). The monitors can be quickly released from the stand for VESA wall-mounting for maximizing desk space and a cable clip keeps the desk clutter-free. They also come with two 2W speakers. Outfitted with GameView technology, gamers can swiftly toggle between three customizable display profiles to tweak settings in-game without having to navigate the OSD menu, a significant advantage when every second counts. Special settings include dark boost (black level adjustment) to clearly see threats in the dark, aim-point assistance for hip fire accuracy as well as the ability to select the on-screen refresh rate. Featuring Acer EyeProtect, the new monitors leverage flicker-less, blue-light filter, ComfyView and low-dimming technologies to help safeguard the eyes from flickering visuals, screen glare, blue light emissions and over-illumination, which may help reduce eye strain during long gaming sessions. Powerful connectivity includes HDMI, DisplayPort v1.2 and a USB 3.0 hub (1 up/4 down). The Predator Z301CT will be available in North America in February starting at $899.99; and in EMEA in February with prices starting at €899. The Predator XB252Q will be available in North America in February starting at $549.99; and in EMEA in February with prices starting at €599. The Predator XB272 will be available in North America in February starting at $679.99; and in EMEA in February with prices starting at €699.